The Bay Area’s best Paragliding School! 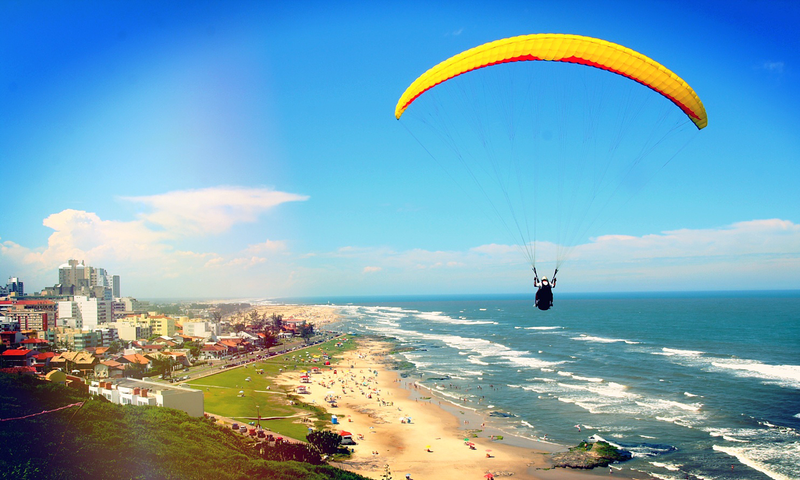 There are few activities in the world that compare to the convenient and peaceful experience of paragliding. The process, friendships that develop and love for the sport can be life changing. Pilots have now reached incredible distances of 300 miles in this craft that can be carried in a backpack. The harnesses that we fly in can be reversed into a backpack and the wing can be placed inside. This whole package will fit in an airplane carry-on area, so this works so well with travel. 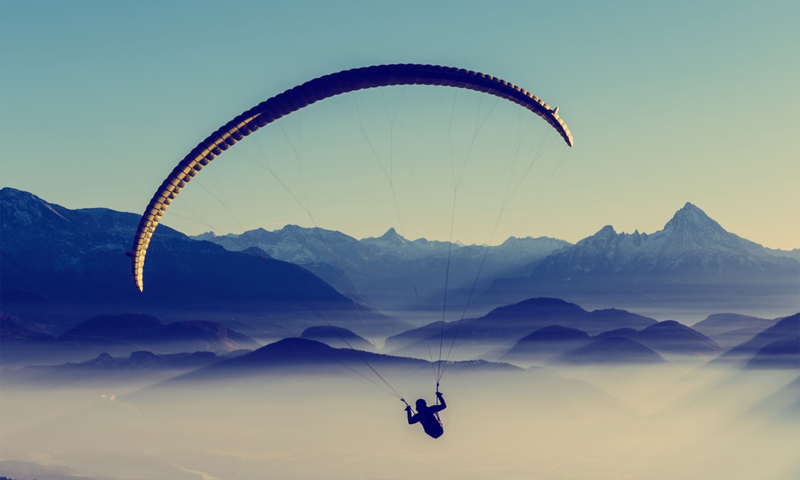 Whether you enjoy just driving accessible launches or hiking up to remote mountain peaks, paragliding supplies the answers. 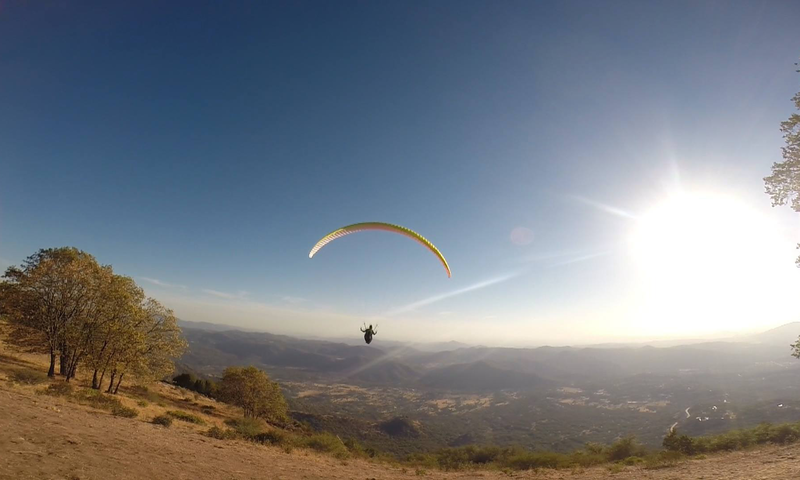 Please look around my paragliding website and get inspired. My commitment to providing the highest level of safety and training is something I take pride in for each and every paragliding student I work with. Don’t just take my word for this, check out some testimonials from some of my students from the past several years. Since 1988 Jeff Greenbaum and Airtime of San Francisco have taught hundreds of people how to safely fly paragliders. 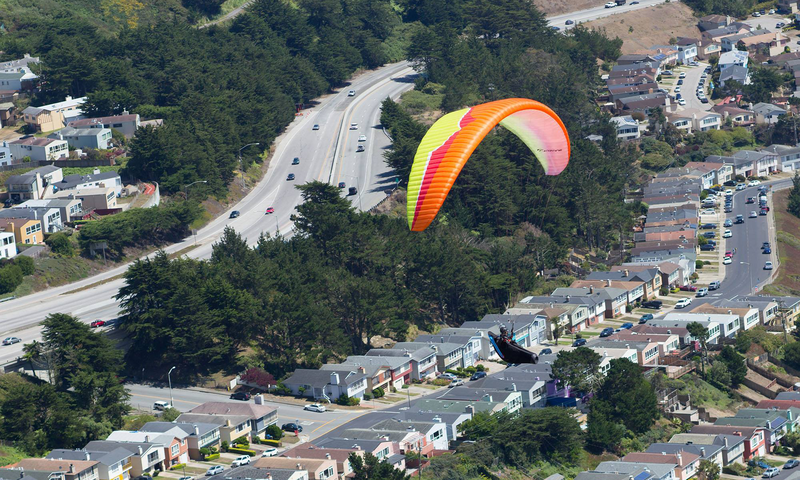 Airtime offers paragliding lessons and paragliding tandem flights at sites in the San Francisco Bay Area. Airtime of San Francisco produces the best trained pilots in Northern California. Paragliding Instruction is done at several locations in San Mateo, Santa Clara as well as Mountain trips to flying sites near the Bay Area. Mountain Trips and the “GROOVE” of flying: Below is a video a student of mine made of a recent Mountain Trip. Mountain trips are amazing and I hope you can see this from the video. We do things together when we are not flying – trips to water falls, swimming, hiking, fishing, or just chill at the camp or cabin. Friendships are made and cemented for long term or even life. Learning is built in and the memories last forever. A local legend, Paige Perron (He lived for most of his life at Hat Creek and took care of anyone visiting), passed away from a heart attack in the landing zone just before I landed. At the end of the video, the empty chair is a reference to our loss and his passing at the perfect spot for this. Later in the video is flying we did Sunday morning just before heading home. Burney and Hat Creek are next to each other and are about 1 hour east of Redding, California. Harness and Accessory Repairs, sorry, we are no longer doing glider fabric. Paragliding Hat Creek and Burney Mountain from Big Ears on Vimeo. If you do not have a vehicle or prefer to carpool, I can work out carpooling to either Milpitas (flying tasks) or to any of the ground handling venues. Details about this can be discussed on the phone. If you are coming from SF, the KX Samtrans gets you to a very convenient location for carpool pickup. Airtime of San Francisco specializes in small class sizes and a program that focuses on the fundamentals and perspectives that will help build a safe foundation for a lifetime of flying. Lessons focus on ground handling which builds true control on the ground and in the air. My style is very “Zen” like. One of my articles called, “Learning Winglish” is a good sample of my perspective and direction as a teacher. I also offer amazing package rates for Equipment with my lesson programs. Please check out how you can save $800 on your gear with my programs. 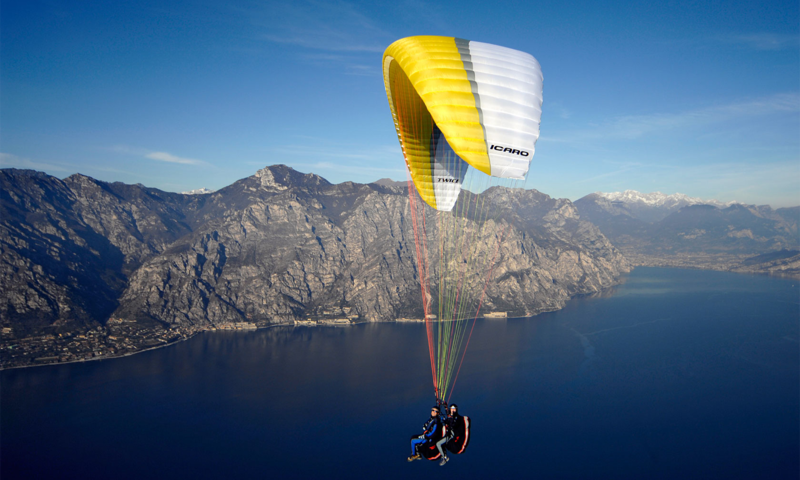 Inside this site you will find information on paragliding lessons and tandem flights. There are paragliding photo galleries and paragliding videos that can help inspire you. In addition, I have created one of the world’s largest collections of instructional articles about paragliding techniques. These articles have been customized to maximize my students’ ability to better comprehend the physical mechanics and intellectual understanding of each technique. They also help to supplement items that are not fully presented in training manuals.